The Cardinals accomplished a feat Wednesday no other MLB team has since the All-Star break. Their one-run, 7-6, victory over the Nationals put them at 30 wins since the break and 11-1 in their last 12 outings. St. Louis is heating up at just the right time as it continues to fight for a National League wild-card spot. 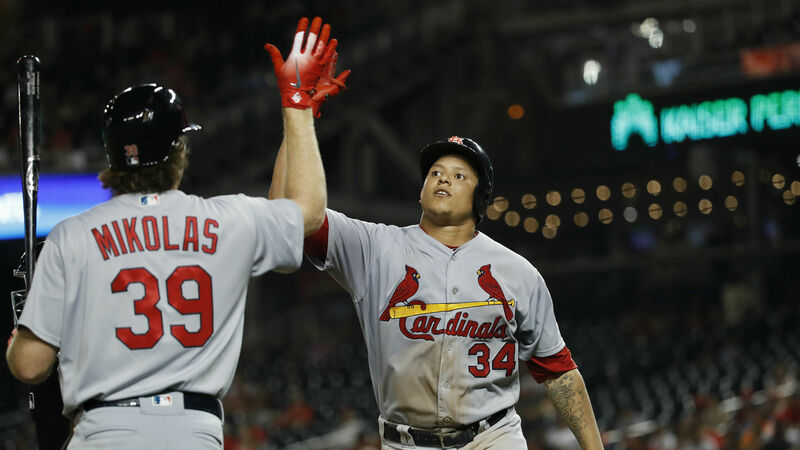 Powered by the bats of Jose Martinez and Marcell Ozuna, the Cardinals were up 6-0 before the Nationals finally got on the board. A late rally gave Washington a chance but Yairo Munoz’s seventh home run of the season gave St. Louis enough of a cushion to pull ahead, and take the series. The Cardinals will continue their stretch on the road with a stop in Detroit to face the Tigers for a three-game series starting Friday. What happened just hours after reports surfaced that suggested Shohei Ohtani needs Tommy John surgery? He hits not one but two home runs. The rookie might not be able to toe to rubber, but he can definitely swing a bat. In the top of the fifth, Ohtani helped the Angels increase their lead to 6-0 over the Rangers. Again in the eighth, he pushed Los Angeles’ lead to 9-2. He is the only player for the Angels this season with two homers and four hits in a single game, something he’s done twice now — for comparison, Mike Trout has only done that once in his career. The Rockies are playing for their spot atop the NL West standings, and three monster home runs off the bat of Trevor Story aided their efforts. In the first inning Story knocked a 459 footer over the left field fence and followed it up with a 505-foot home run — the longest of the Statcast era (2015). The second homer in the fourth inning tied the game at three runs apiece and knocked the go-ahead run out of the park in the sixth against the Giants. How do you follow up a 459-foot HR? Rays starting pitcher Tyler Glasnow has been having a tough go and Wednesday’s outing didn’t help. He was pulled after just 2/3 of an inning after giving up five hits to the Blue Jays. Toronto went up 7-0 after the first and eventually came away with a 10-3 win that pushed Glasnow to 0-3 on the season. Six-run deficit? No problem. Ninth inning? That’s fine. The Red Sox checked all those boxes when Brandon Phillips’ home run with two outs in the top of the ninth put Boston up for good over the NL East-leading Braves. Braves (76-63) at Diamondbacks (75-64) 8:40 p.m. ET — The Braves will be heading to the desert licking their wounds after getting swept by the Red Sox, but Atlanta will need to bounce back as the Diamondbacks are working to stay in the running during a contentious NL wild-card race. Arizona has only won four of its last 10 games, two of which came at Chase Field.